Telugu Cinema has been quite familiar with folklore films right from the black and white era. Thanks to actors like Sr.NTR, ANR and Kantha Rao - there have been countless films which were successful in this category right from the early 50s. 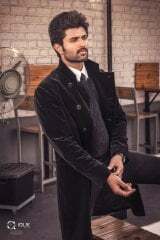 They are watchable not only for the adventurous element they have, but also for the tremendous acting skills of the lead actors along with some thrilling sequences which they offer. Vitthala Charya’s films in particular enthralled the audience in the good old days with the impactful visual effects making the best use of technology those days. 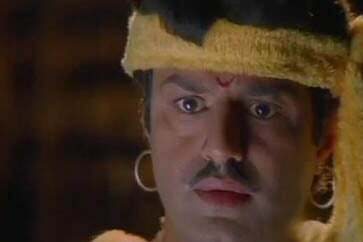 Telugu Audience can never forget films like Paatala Bhairavi for the tremendous thrill they offered, along with magnum opus level in acting by SVR as the evil magician along with the innocent Thota Ramudu played by Sr.NTR. Somehow, folklore films faded away in between at the midst of family drama, sentiment, fine arts films and so on. It can’t be said that these films entirely were in darkness because Telugu Cinema witnessed some folklore films now and then during the 70s but they could not make a greater impact on the audience. It was when versatile director Singeetham Srinivasa Rao (Who also worked as assistant director for evergreen Mayabazar) was roped in for a folklore film by Vijaya Productions House - one of the most prestigious production houses in South India. They are most known for the folklore story films and they capture the best of Folklore for Telugu Audience’s immense pleasure. The film was like a whiff of nostalgic air having the new age fragrance of the 90s- the time of its release! The movie is Bhairava Dweepam starring Balakrishna and Roja in the lead. 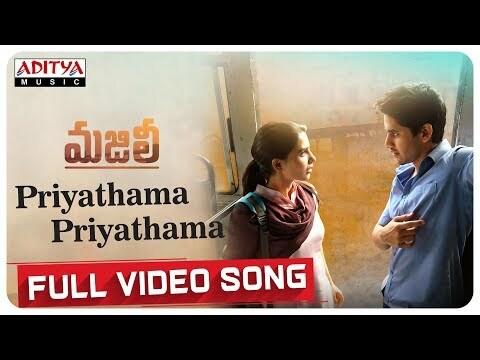 The movie follows the format of Folklore films of Black and White era but also has some special moments and great soundtrack- which introduced the concept of Folklore to the modern era to the younger generation in AP- thereby making them realize what they have missed out! Bhairava Dweepam is the story of Vijay (Balakrishna) who is the son of Jayachandra Maharaja (Vijay Kumar) – emperor of Chandraprabha Dynasty and Vasundhara (K.R.Vijaya). As fate has it, Vasundhara loses her son at a calamity when trying to rescue him and because she gets cheated by the emperor, she decides to commit suicide. It is when a sage in a forest rescues her and assures that her son is well alive, with his magical powers. He also presents her a rose plant which has a single flower- which is an embodiment of the wellbeing of her son. Vijay- as an infant gets noticed by a tribal group at Kotala Kona who adopts him and takes care of him well. Our dear hero grows up as a valiant person and he along with his friend Kondanna (Babu Mohan) attempt to get the sacred water from a tree- which guarantees immortality. At that instant Vijay happens to watch Padma (Roja), a princess of Karthikeya Dynasty. She instantly falls for her and very soon finds out she also finds his courage quite admirable. 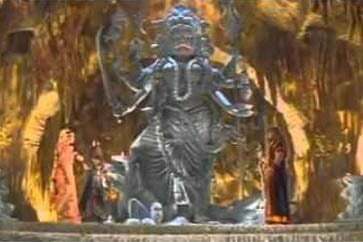 In a land far away from happiness- an evil wizard named Bhairava performs rituals and worship for a dark goddess in hope of attaining dark powers and rule the world. It is when he finds out that a particular princess born on an auspicious moment should be sacrificed to the goddess for this purpose. He performs dark magic on the kingdom of Karthikeya dynasty and brings Padma –in a trance like state to his island- that is Bhairava Dweepam! Padma, unaware of reality and in trance makes a vow to the dark goddess that she would come and sacrifice herself on the coming full moon day. But when she wakes up the next day at her palace- she is unaware of all this. Her father Brahmananda Bhupathi (Satyanarayana) suspects that Vijay, a tribal person by origin would have been behind this wrong doing. When Vijay is captured for the same, Padma gets severely ill on one day. Vijay escapes from the prison and comes to meet Padma, to find out the mystery. The rest of the story is about how Vijay saves Padma from the evil wizard Bhairava- and how he gets united with his actual royal family, which gets separated during his childhood. 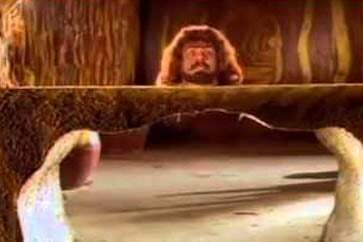 The film has highly entertaining and artistic moments- and there are many fascinating scenes involving different fantasy lands- such as land of Lilliputs, appearance of Ghosts, Heavens and what not! Vijay enters into a land of adventure, fun, dangers and literally everything a folklore hero could dream for! 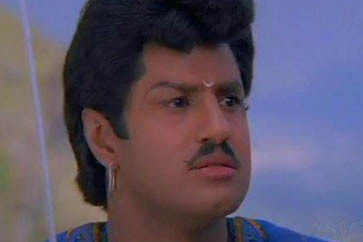 Balakrishna was ideal as the courageous hero Vijay. 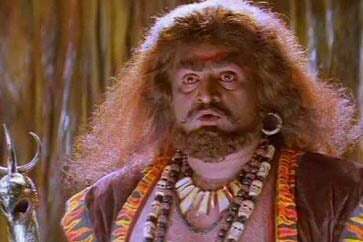 Bhairava Dweepam became one of his career best in terms of acting, histrionics, and stunts. He was at complete ease in every frame, and reminds of his father Sr.NTR in terms of costumes he wore and dialogue delivery as well. 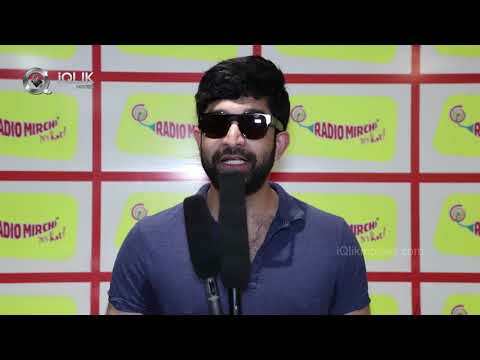 His effort in doing justice to the folklore themed film was quite evident with his performance. 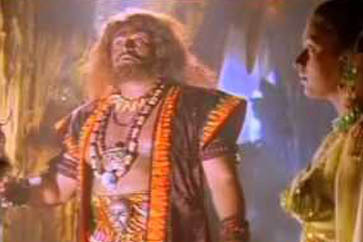 Vijayarangaraja acted great as the evil wizard Bhairava. His histrionics and acting were perfect for the ruthless nature the character needed. 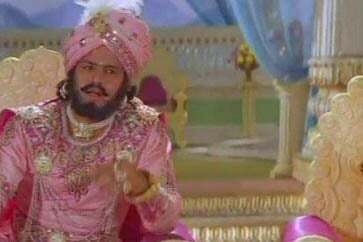 His performance faintly reminds the audience of the evergreen SVR as the wizard from Paatala Bhairavi! 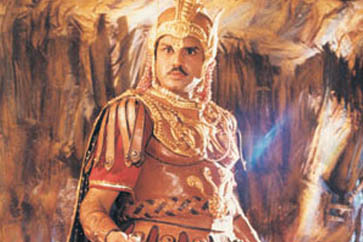 Roja was quite good as the princess and Vijay’s love interest in the film. She suited well for the princess attire and performs well with tremendous ease. K.R.Vijaya- a senior actress acted perfect as the mother of Vijay. Her role becomes more important as the film reaches the climax. 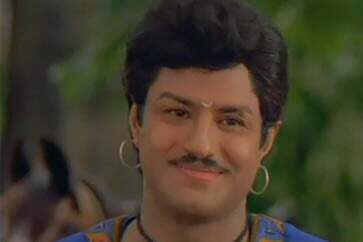 Satyanarayana was apt for the role of Padma’s father. 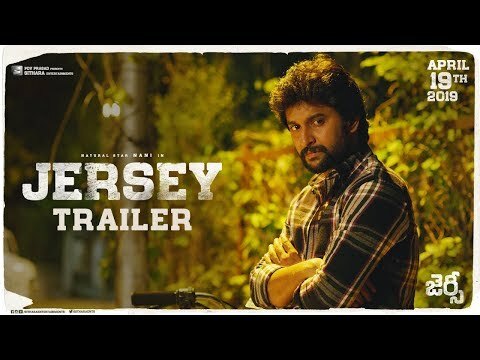 There are some fantastic actors such as Vijay Kumar, Sutthi Velu , Manorama, Subhalekha Sudhakar, Giri Babu and so on who were perfect for the roles they adorned. Singeetham Srinivasa Rao proved yet again that he can make a folklore film competently with Bhairava Dweepam. As a director who always looks for different subjects throughout his career, he was extremely successful in taking the audience to a fictitious world with this film. He took extreme care in every department of the film such as art direction, stunts, sets, dialogue delivery, music, cinematography very well. Nowhere the film looks made up or artificial for the viewer. 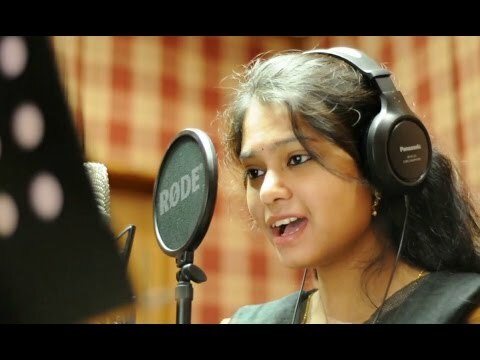 Music by Madhavapeddi Suresh stands like a strong foundation for the film. 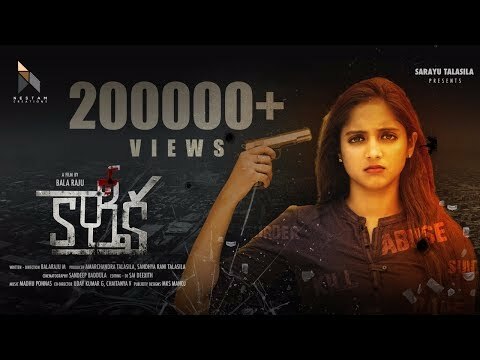 The songs and background score added so much to the theme of the film along with the aura it carries right from the first frame. The background score in particular elevates many crucial scenes involving the stunts as well as the suspense element of the film. 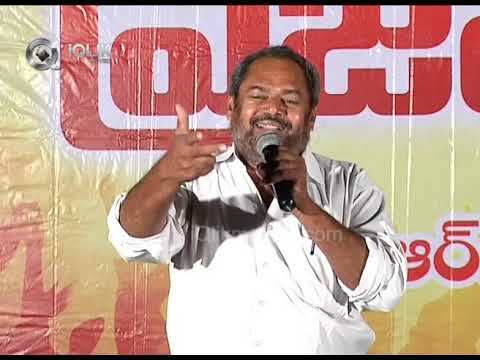 Dialogues by Ravi Kondala Rao, a great character actor as well in profession add excellent value to the film. It is not at all easy to write dialogues for different dialects – that too from a different timeline compared to the time of its release- that is 90s. The film features “Sri Tumbura Naarada” song which is sung by the hero to please the messenger of Tumbura- regarded as the god of Music. 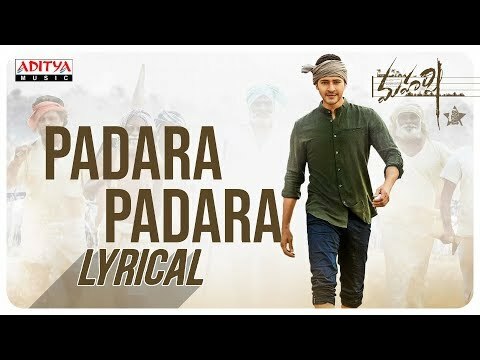 This song was sung phenomenally by S.P.B and it was composed as a Raagamalika- a song containing many carnatic ragas embellished in a logical sense. 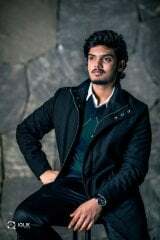 This song fetched SPB Nandi Award in best male singer category. The song “Naruda O Naruda” features Rambha- one of the top actresses in South India during the 90s. She is shown as a Yakshini who tries to woo the hero Vijay. 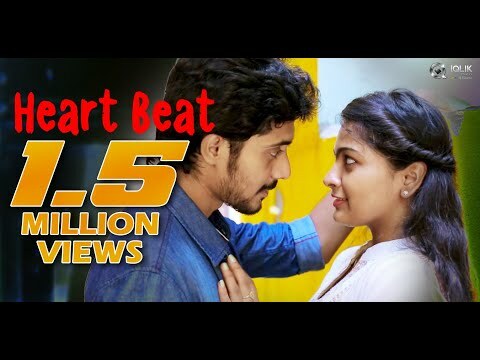 The song is a visual treat with the appearance of Liliput friends who try to help Vijay for getting a crucial task done and S.Janaki delivers her best in it. There is no surprise to know that she won the Nandi Award for best female singer category for that year. This successful team of Bhairava Dweepam- Balakrishna, Roja, Singeetham Srinivasa Rao and Madhavapeddi Suresh made Sri Krishnarjuna Vijayam- a mythological film few years later as well. 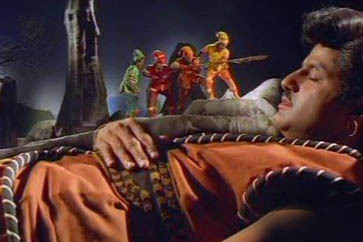 The film had Balakrishna adorn different mythological roles such as Lord Krishna and Arjuna. 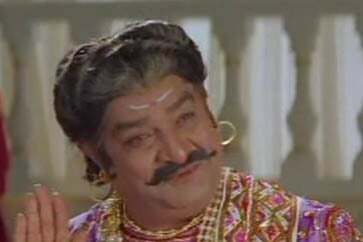 Legendary actor Padmanabham- a regular in Vijaya Productions films had a crucial role to play in the film. 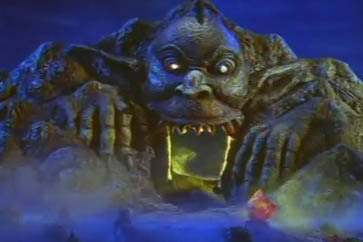 Bhairava Dweepam became highly popular among the younger generation of 90s, who could enjoy the adventures and folklore theme at maximum extent in it. 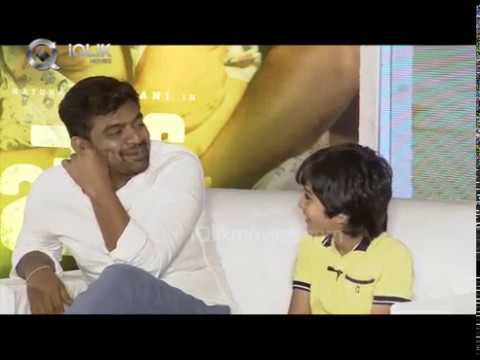 The film could introduce the kids of 90s about Chandamama – a most popular magazine featuring kids’ stories which has been present since early 40s. Incidentally, that magazine is run by Vijaya Productions group!